Looking to infuse a bit of class into your dining or drinking experience? A carafe is the perfect solution! Affordable on almost any budget, a carafe is a glass, ceramic or plastic vessel that is typically used to serve and pour water. However, what you serve in them is only limited to your imagination. Looking to add a splash of color to the brunch table? Fill up your carafe with orange or tomato juice. Want to enhance your wine? Aim for one that also aerates. Have no use for a carafe in the kitchen? 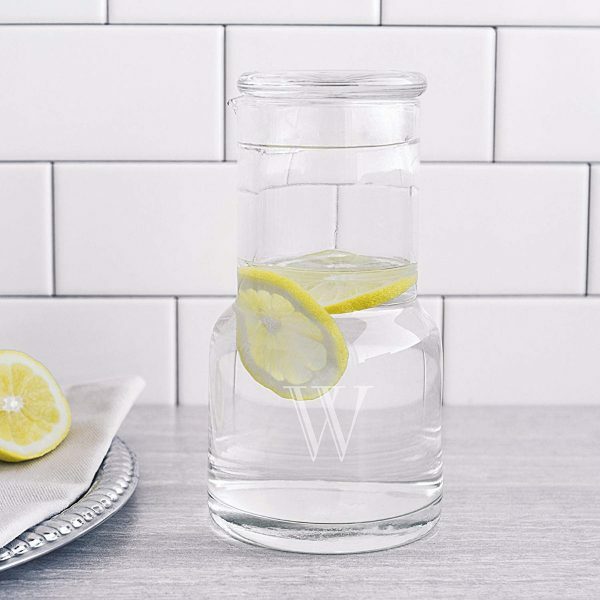 Instantly add an elegant touch to your bathroom by displaying your mouthwash in a glass carafe. Versatility has never looked so chic! 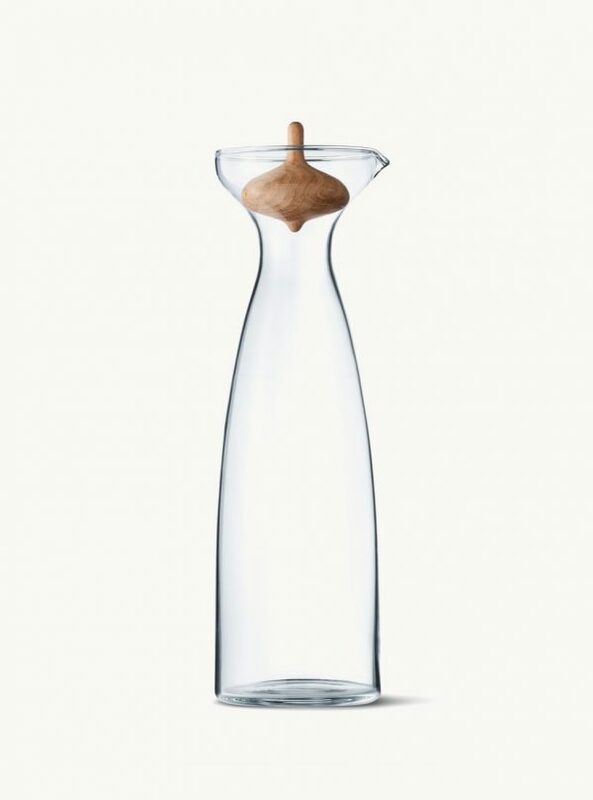 Designer Glass Carafe With Wooden Stopper: Elegant and playful collide. 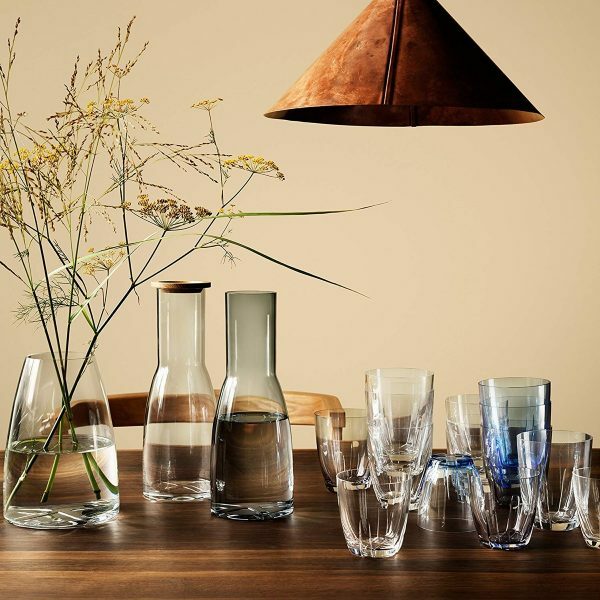 Introducing the Alfredo carafe designed by Alfredo Häberli for Georg Jensen. 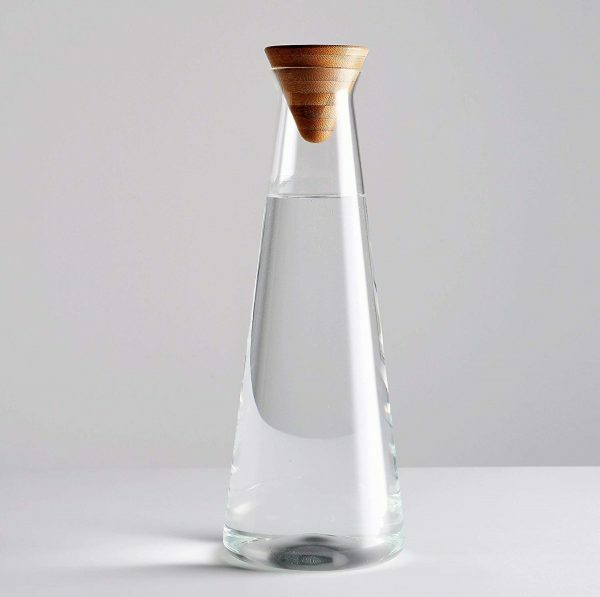 This glass carafe with its unusual wooden stopper is a must-have for those looking to embrace a Danish aesthetic. 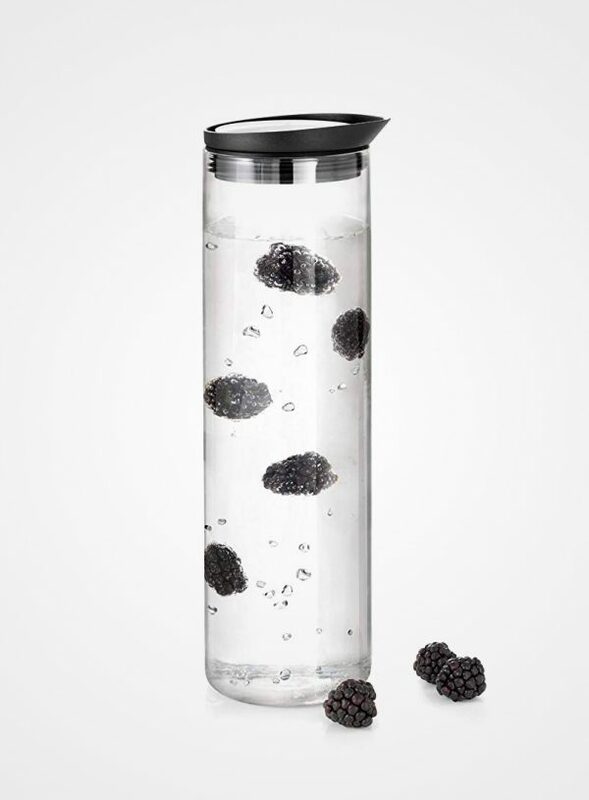 Minimalist Glass Carafe With Ball Stopper: Never lose your lid again with this innovative, minimalist carafe. 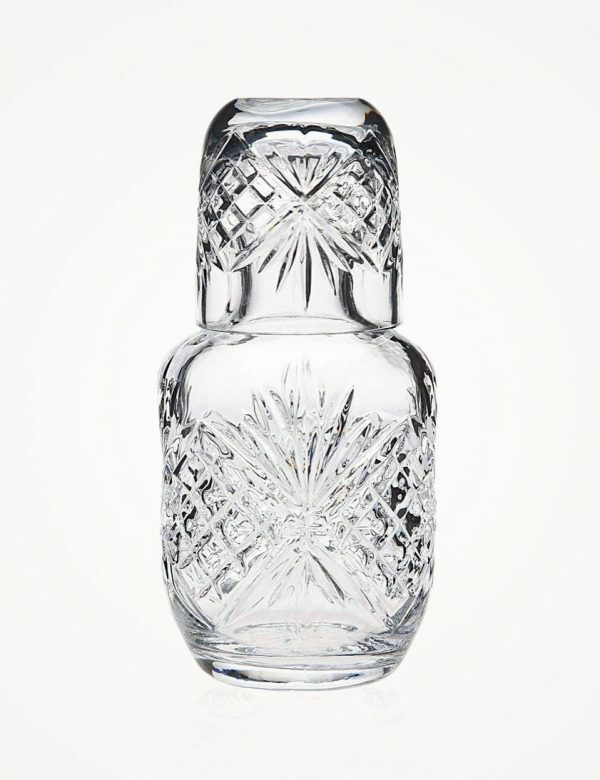 Fun Fact: This crystal glass carafe is named Fia after the Swedish version of the board game Ludo! Available with a stopper in Amber, Pink, Clear Crystal, or Black (shown). 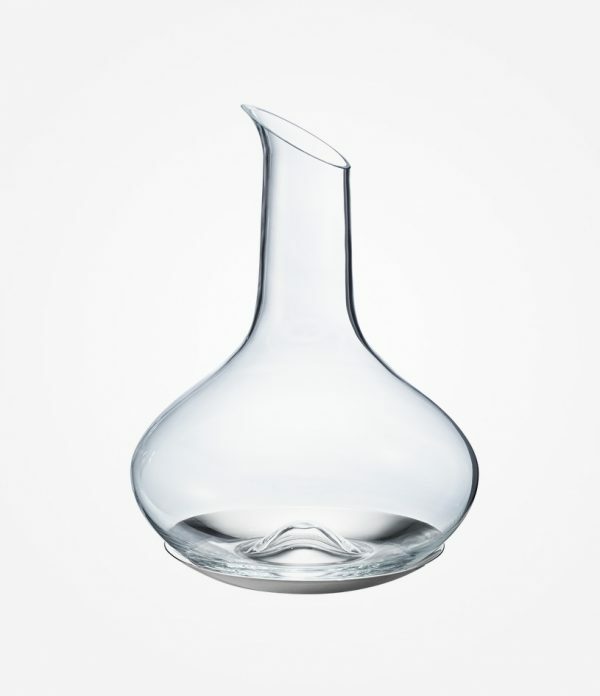 Georg Jensen Barbry Carafe: A true celebration of modern living, this carafe combines both art and function with ease. Its soft, sculptural body is not only sleek but with a shape that provides superior grip, it is also highly ergonomic. 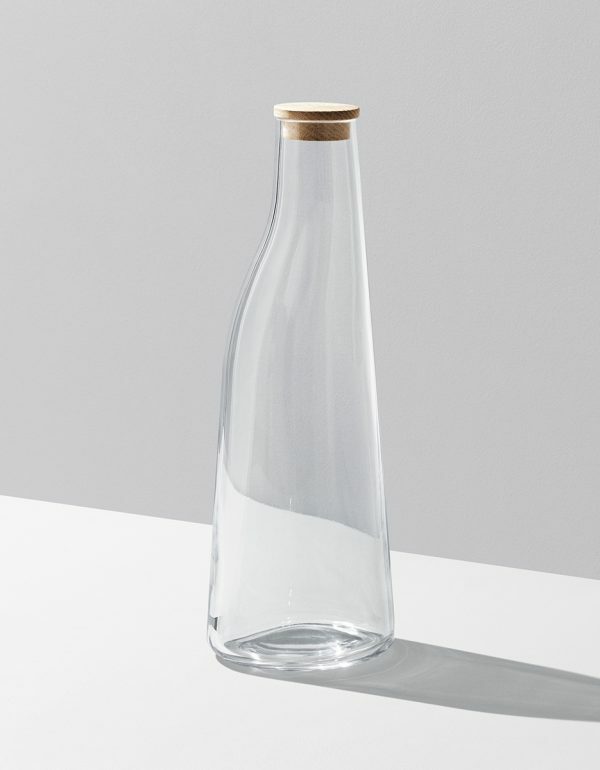 Minimalist Bottle Carafe: Shhhh! 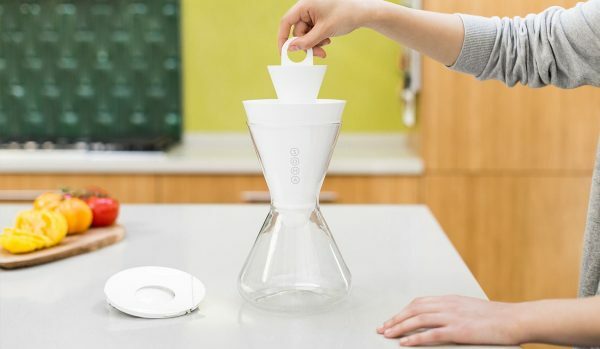 No one needs to know that this minimalist carafe cost you less than $20. 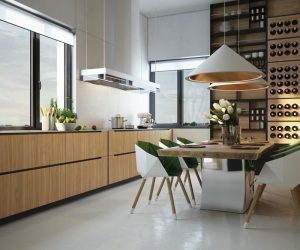 A sleek glass body equipped with a rubber seal lid makes this not only an amazing option for those on a budget, but a great choice for anyone looking to infuse their dining experience with minimalist style. 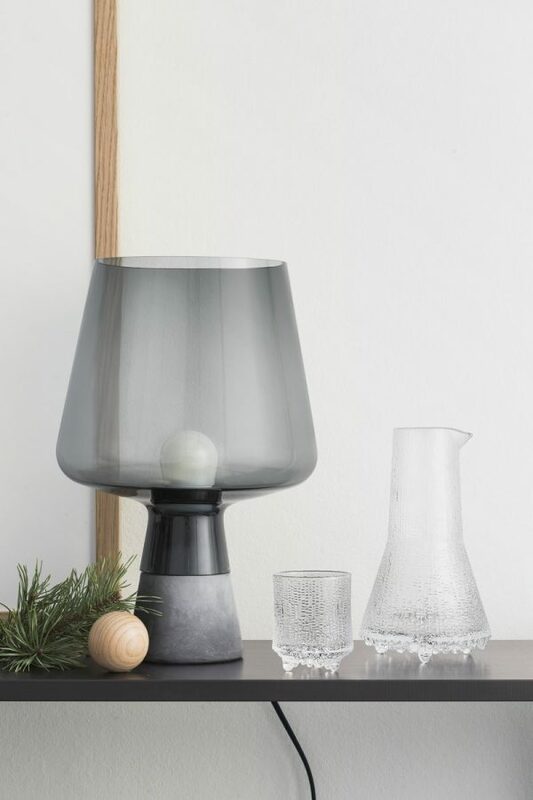 Bedside Etched Glass Carafe With Cup: Carafes aren’t just for the kitchen or dining room! Take it to the bedroom or office with this unique design that includes a drinking glass. Etched with “H20”, this makes a fantastic gift for science lovers. 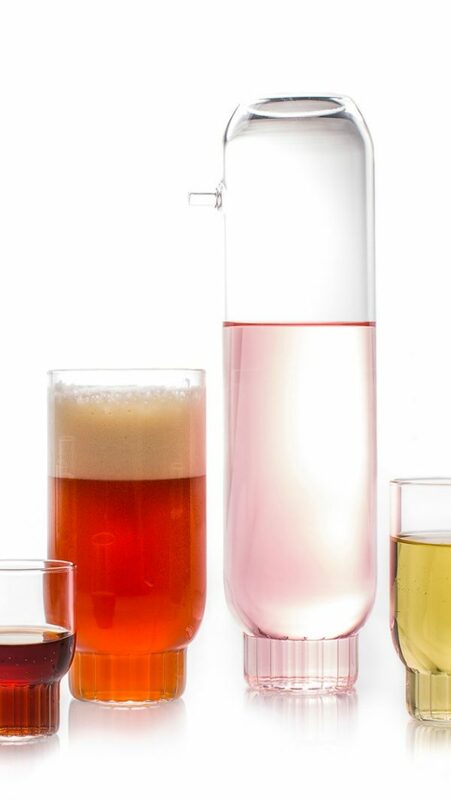 Kosta Boda Bruk Carafe Set: Infuse your water with a little extra color. 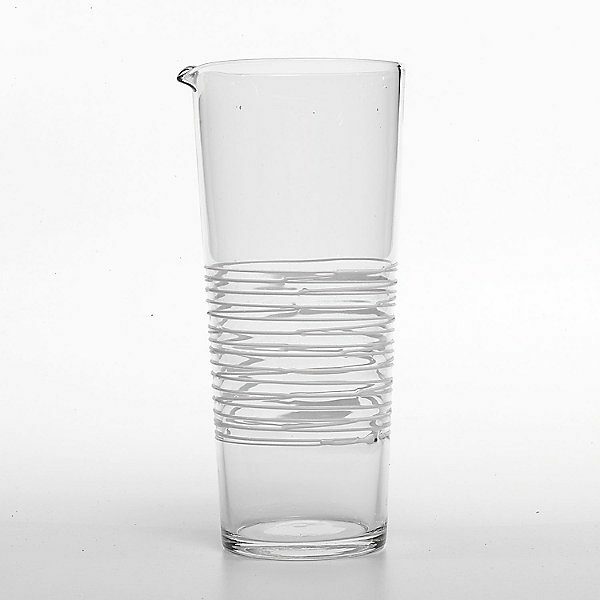 The Kosta Boda Bruk Carafe is uniquely available in Gray, Blue, and Clear. 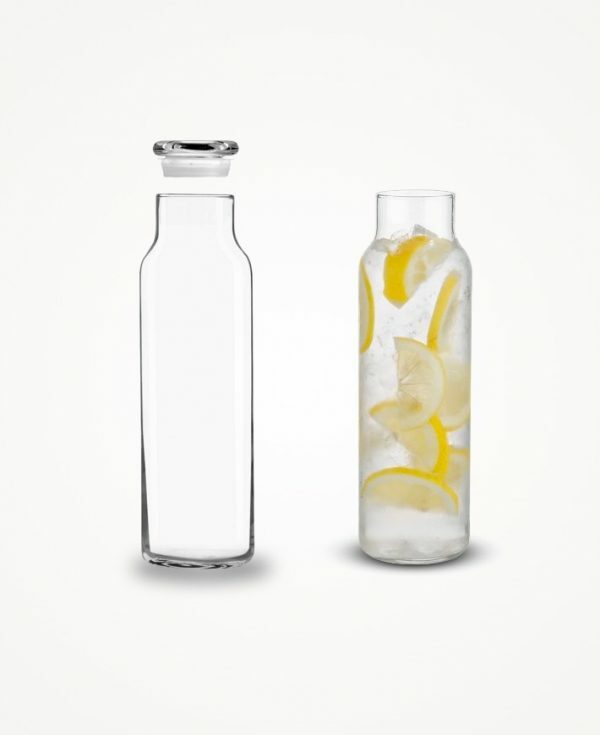 Small Bedside Clear Glass Water Carafe Set: Keep it simple with a bedside carafe. 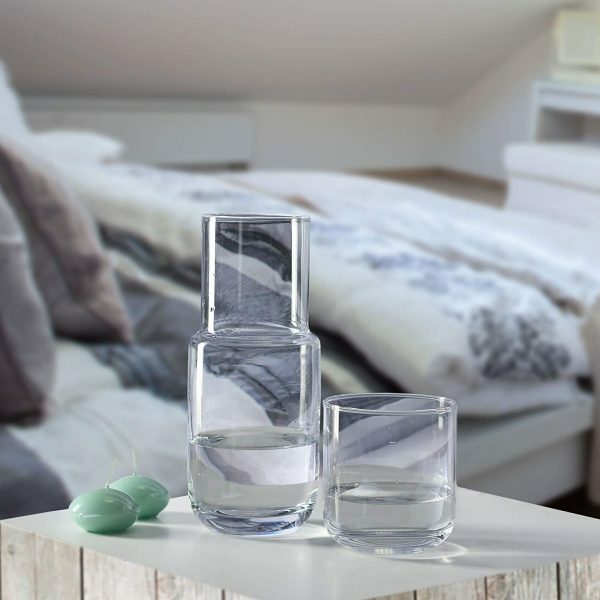 A bedside water option that is more eco-friendly than plastic bottles and more elegant than your typical reusable water bottle. Patterned Glass Carafe: A conversation starter in the form of a carafe! The pattern on this glass carafe is said to represent the art and history of France. Tapering Glass Carafe With Stainless Steel Lid: A stainless steel lid gives this carafe a versatile and modern aesthetic. If you don’t like doing dishes by hand, no worries, it is dishwasher safe. Heat Resistant Borosilicate Water Carafe With Stainless Steel Lid: An ideal choice for tea lovers that want something a bit more offbeat than the traditional teapot. The heat resistant build of this carafe makes it perfect for serving up your favorite tea any other hot beverage. 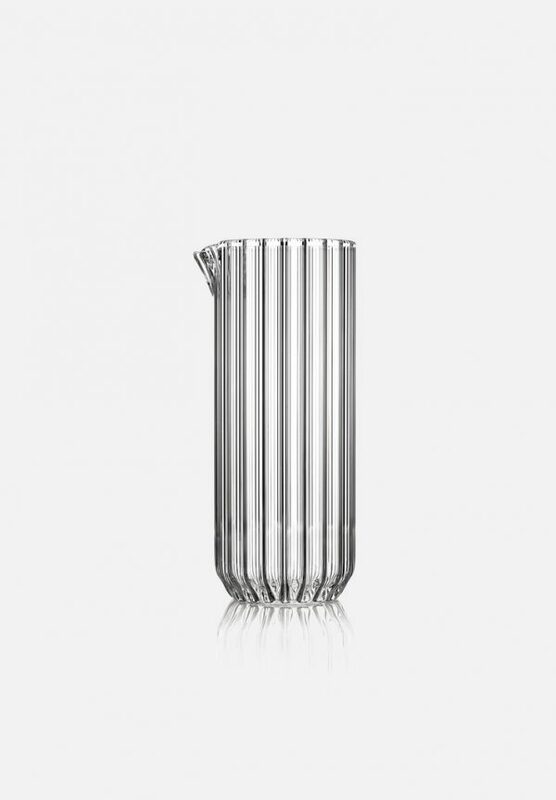 Georg Jensen Sky Wine Carafe Glass & Stainless Steel Coaster: A robust bottom paired with a tapered neck make the Georg Jensen Sky Wine Carafe quite the masterpiece. 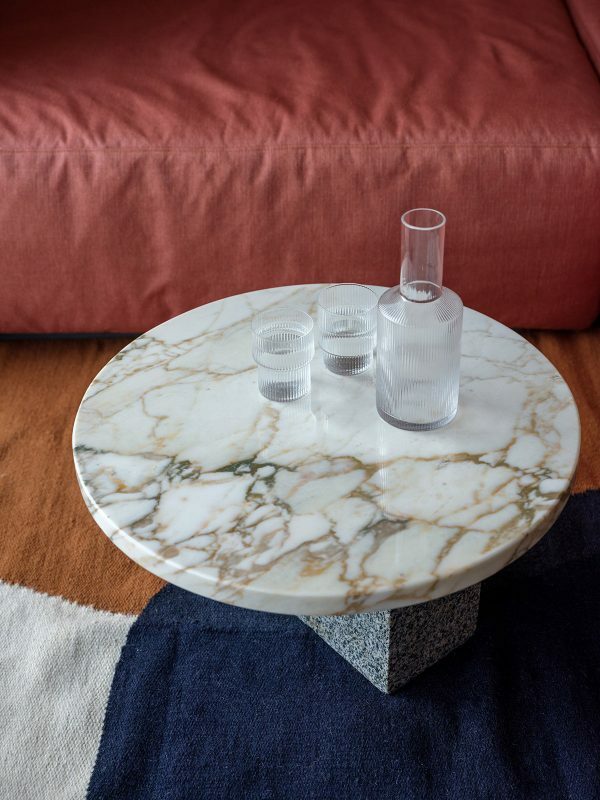 It is simplistic but divine, especially with the addition of the stainless steel coaster bottom. Tourbillon Aerating 0.75L Carafe: For all you budget wine lovers out there, this is the carafe for you! 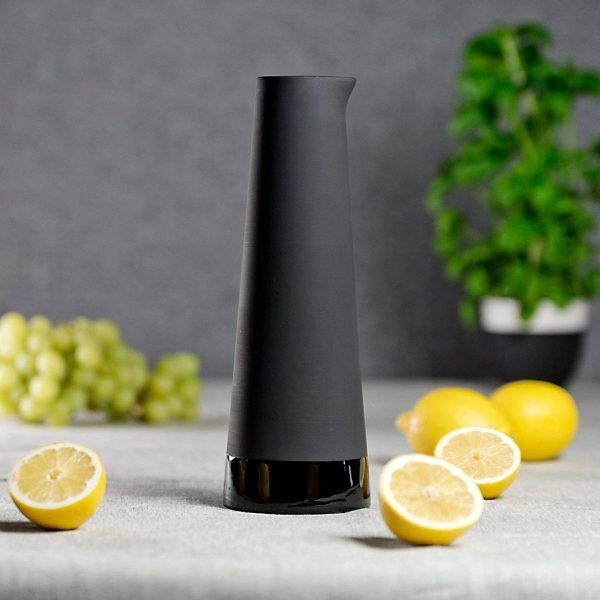 This aerating carafe not only looks far more expensive than it is, but its design encourages aeration, which can make a cheaper wine taste much more expensive. 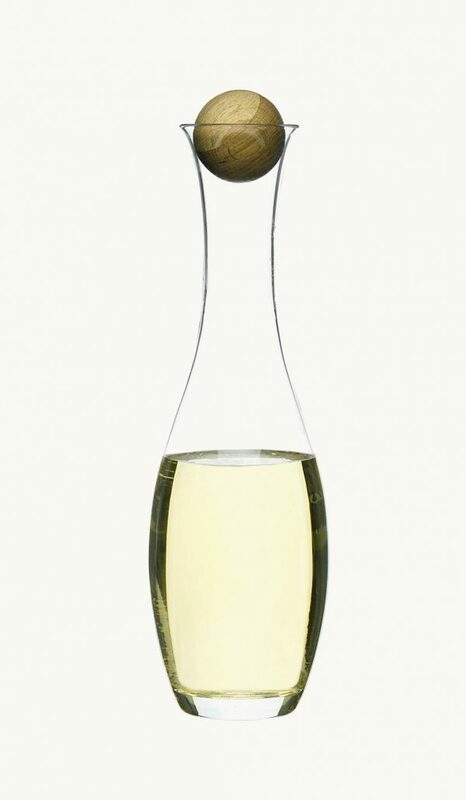 Sempli Swirling Carafe: Hand blown from lead free crystal, the Sempli Swirling Carafe is great for aerating your favorite wine. Just pour, swirl, and enjoy! Also available in frosted glass. 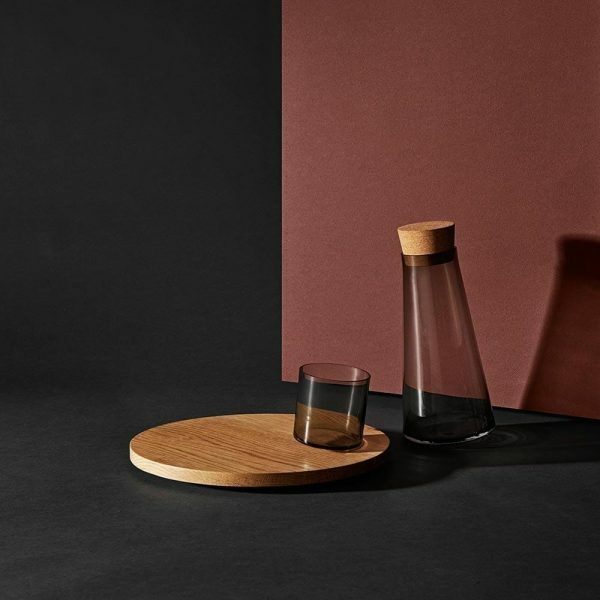 AYTM Volvi Rolling Carafe: A must-have tableware accessory for the Scandinavian-inspired home. 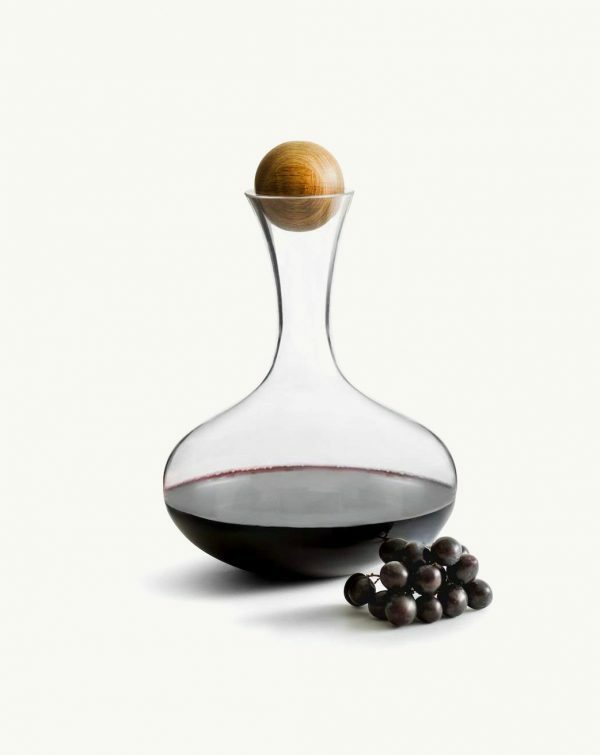 With its gray glass build fitted with a large cork, this decanter is a modern delight! 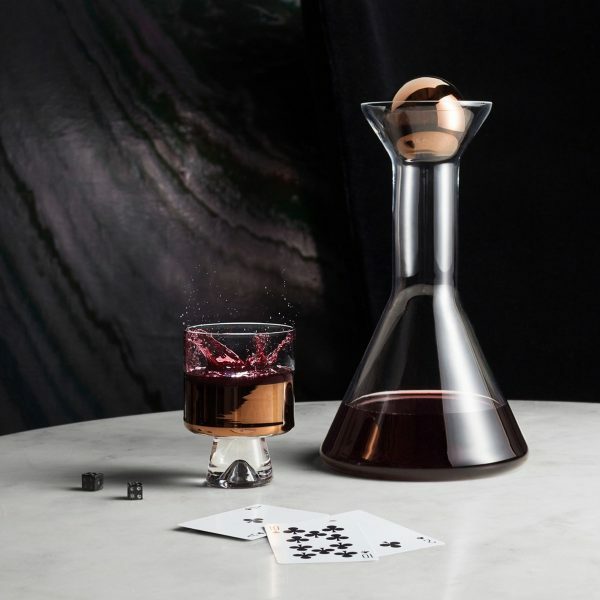 Tom Dixon Carafe: The flared mouth of the Tom Dixon Carafe ensures a perfect pour every time. And the copper stopper? 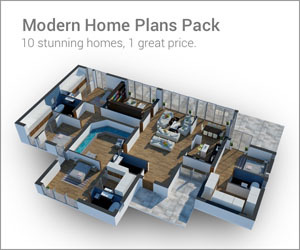 Well, that truly is the cherry on top of this elegant design. Ribbed Texture Carafe Set Ferm Ripple: The Ferm Living Ripple Carafe Set makes pouring and drinking a pleasure. 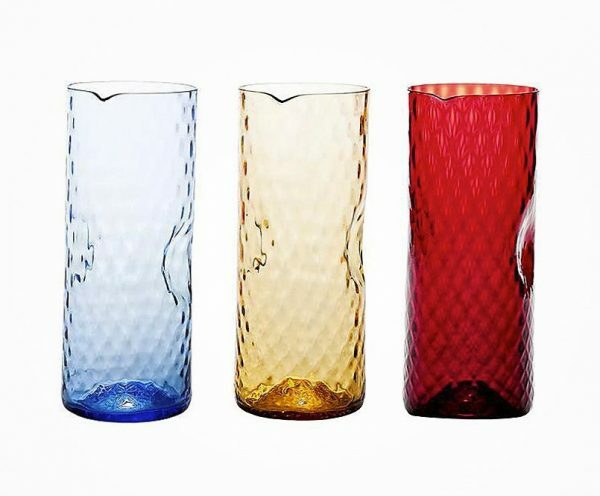 Not only does this set have a distinct ribbed texture, but the drinking glass’ bottoms vary in size to create a dynamic visual treat. 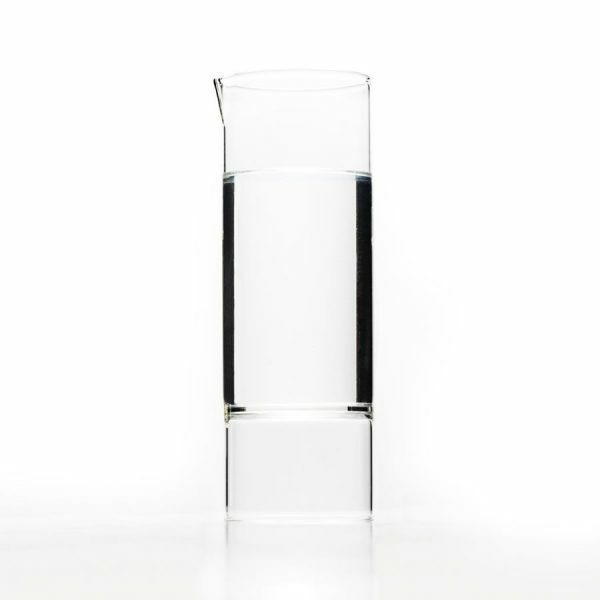 Cylindrical Glass Carafe: Affordable and colorful, this cylindrical glass carafe is dishwasher safe. The stainless steel lid is available in 6 colors, including Blue, Red, Green, and Black (shown). Novelty Carafe: We couldn’t help but to think of a cat when first setting eyes on this novelty carafe with its long, tail like handle. A wonderful statement piece for a cat lover’s table or bar! 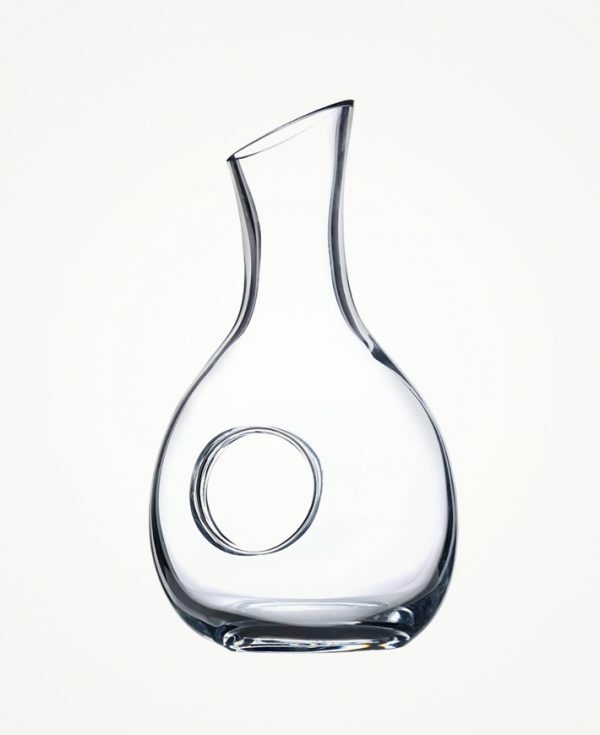 Pierced Glass Carafe: A pierced glass carafe is the perfect blend of modern and classic. Created with European lead free crystal, it is a truly elegant choice for your pouring needs. Tall Glass Carafe: This tall glass carafe has an impressive 60 ounce capacity that is ideal for both hot and cold beverages. It also features a lid that keeps ice, tea bags, and fruit inside the pitcher when pouring. 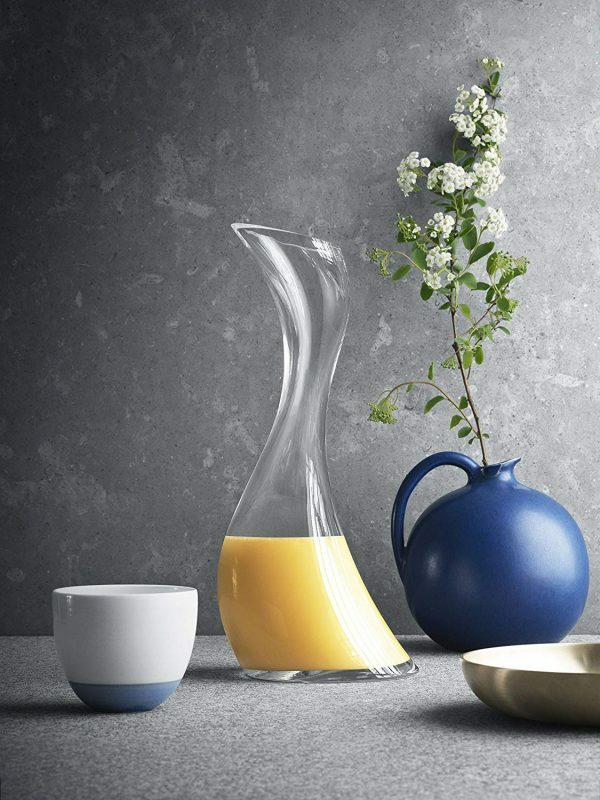 Large Minimalist Designer Carafe: With a design that makes liquids appear as if they are defying gravity, guests won’t be able to get enough of this minimalist carafe! Mr. & Mrs. Night Carafe Set: Simplistic facial features adorn the Mr. & Mrs. Night Carafe Set making it quite the striking set. Available in two glass colors, Clear or Green (shown). Wide Base Glass Carafe With Oak Stopper: The solid oak stopper is the perfect finishing touch for this 67 ounce, large capacity carafe. A great piece for either formal or casual dining. Menu Winebreather Carafe: Breathe new life (and new flavors!) into your wine with the Menu Winebreather Carafe. 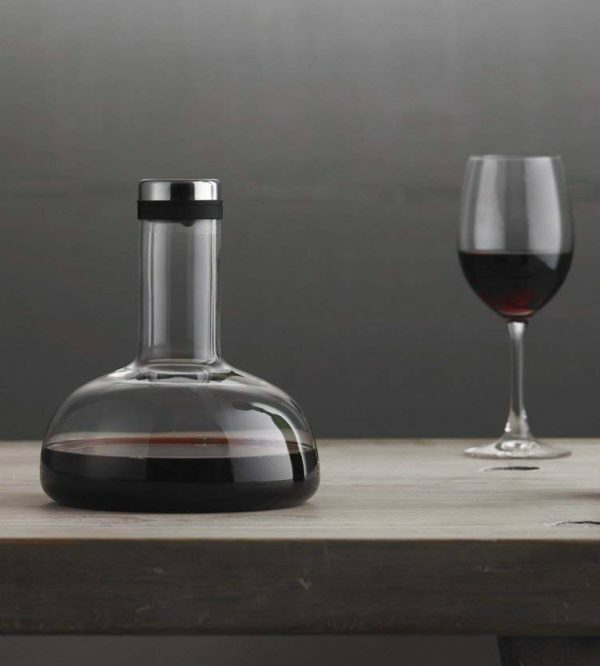 By allowing your wine to breathe, this carafe helps tease out flavors in your wine that you might of otherwise missed. Minimalist Conical Carafe With Bamboo Lid: Glass and bamboo come together to create minimalist perfection. 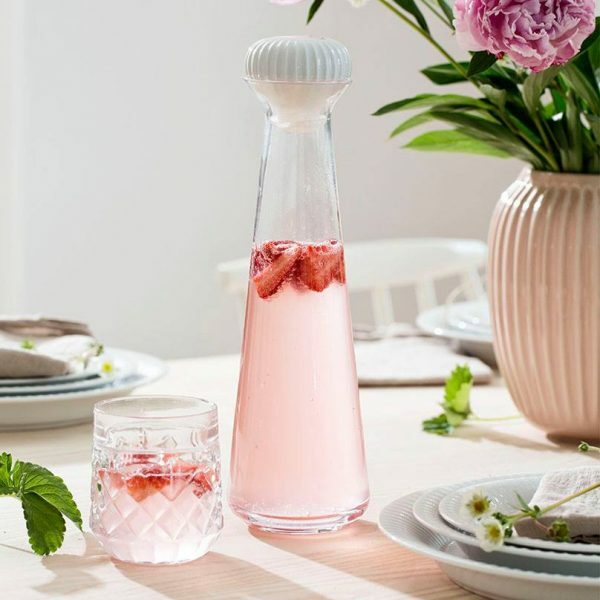 Filled with either fruit water or just plain water, this conical glass carafe will always look modern and chic. Black Minimalist Ceramic Carafe: While most carafes are made of glass, this black minimalist carafe is constructed of ceramic. Ceramic being naturally cooling means that your beverage will stay cold longer with this black beauty. Just soak the carafe in water for a minute or two before use to keep its contents cool throughout breakfast, lunch or dinner. 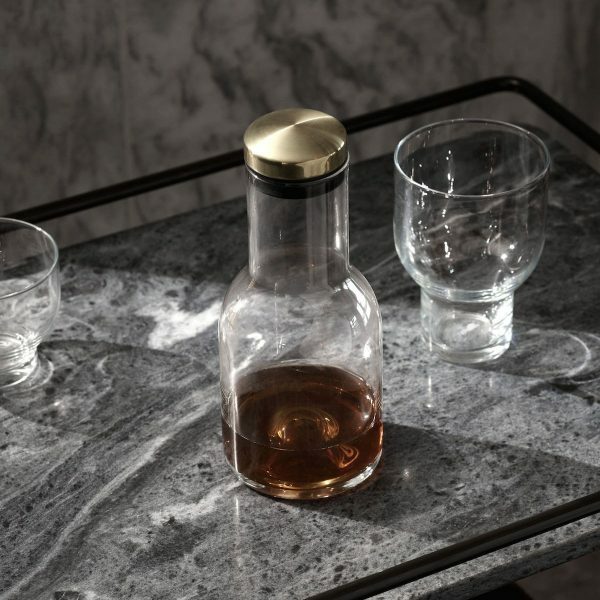 Menu Bottle Carafe: The brass lid fitted to this glass carafe sets it apart from the rest. An elegant addition to any bar or kitchen. 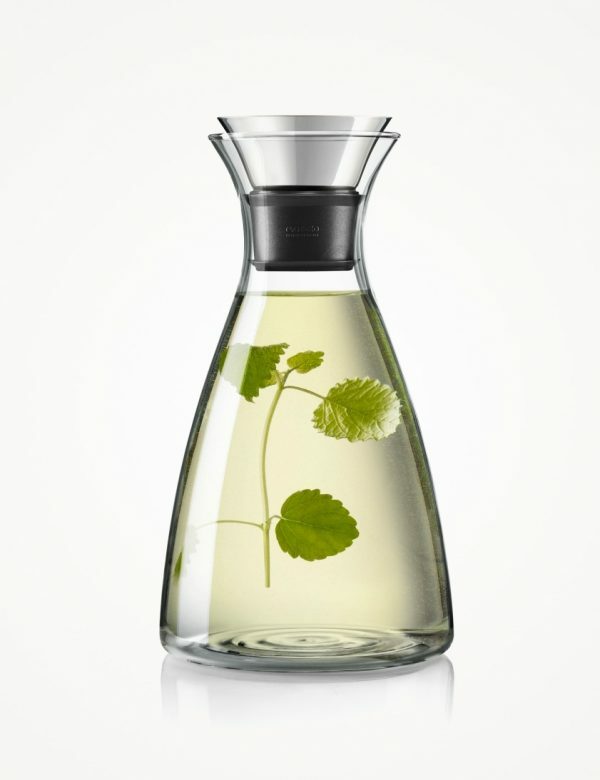 Sagaform Carafe with Oak Stopper: This mouth blown glass carafe has an easy hold shape and easy pour spout. No bells and whistles, just simplistic elegance. 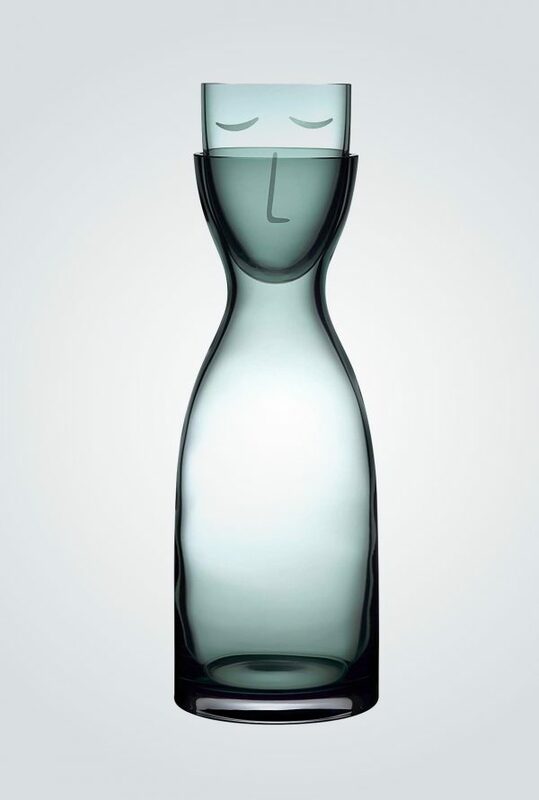 Cobra Carafe: Tall, curvy, and oh-so alluring. 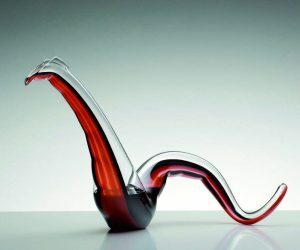 The cobra carafe takes the shape of a snake with its long neck and flared collar. 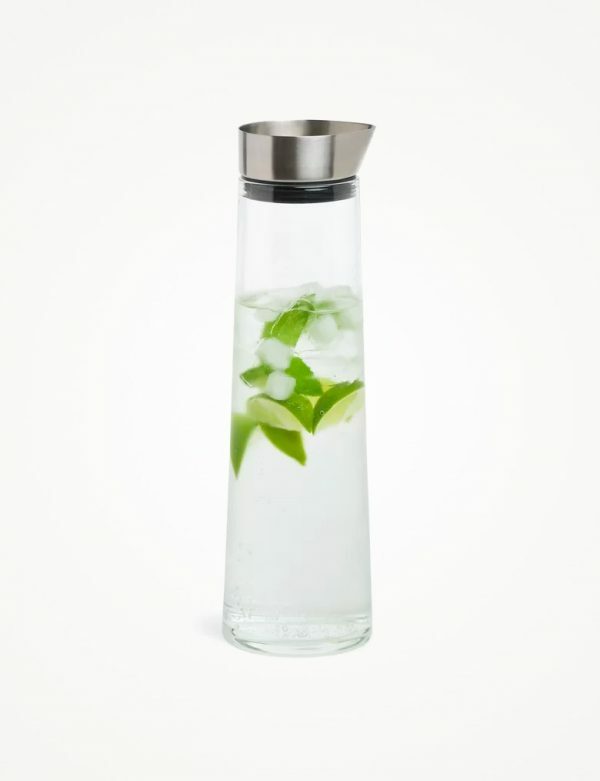 Chill Carafe: Keep it cool, keep it classy. 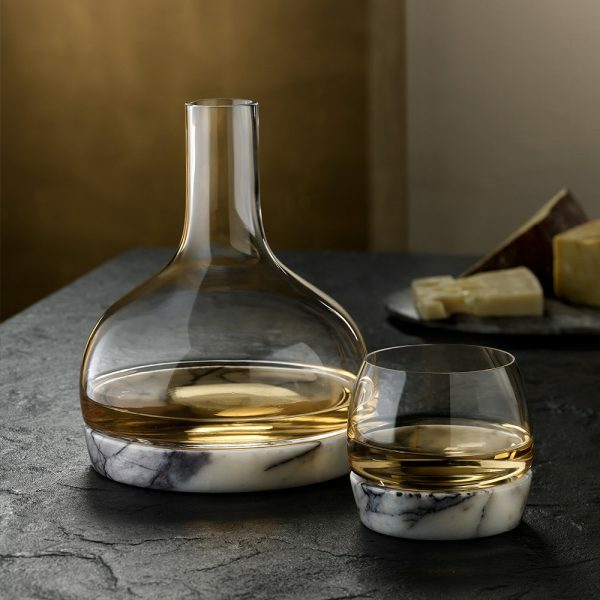 Place the elegant marble base of this carafe in the freezer to keep your beverages cold through breakfast and beyond. 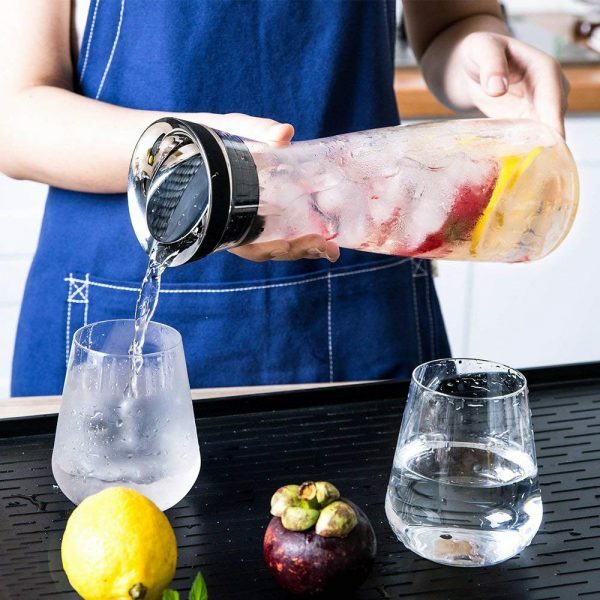 Luxury Water Carafe: If you are looking for a luxury, then the Parrot water carafe is quite the contender. This parrot shaped glass carafe is hand cut and hand painted, making it a unique and playful addition to any home. Pellicano Carafe: With a silhouette that resembles a pelican bird, this is a must-have if you are looking for tableware that is both whimsical and functional. 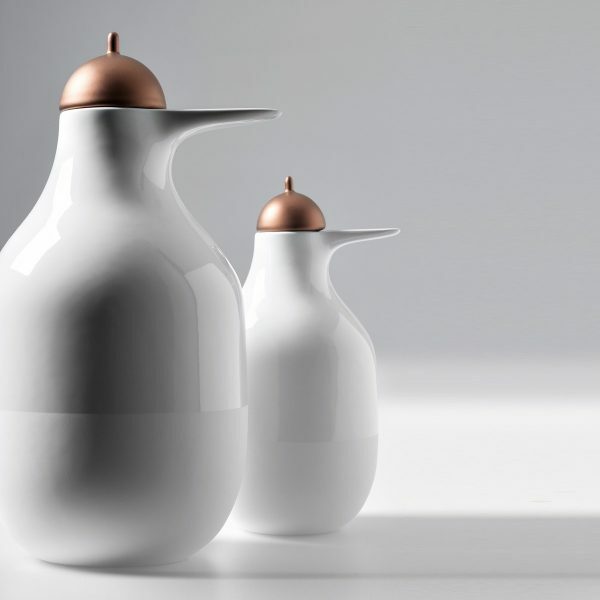 This hand-crafted porcelain carafe is available in two sizes. 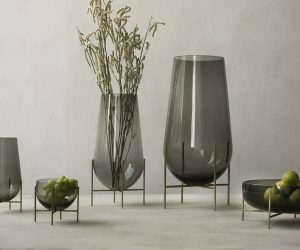 Hay Tela Carafe: This carafe’s unusual appearance has been created by blowing molten glass into a textile bag, which in turn leaves a stunning texture on the glass’ surface. It is no wonder the Hay Tela Carafe was named after the Spanish word for textile. 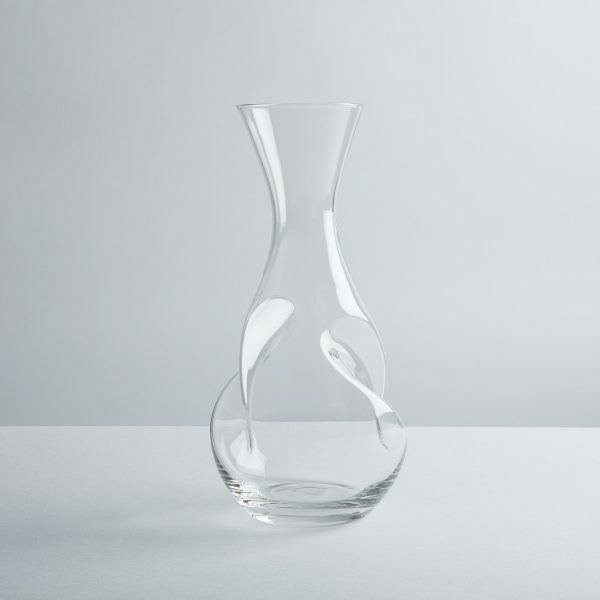 An ideal carafe for serving water, soft drinks, and other beverages to dinner guests. 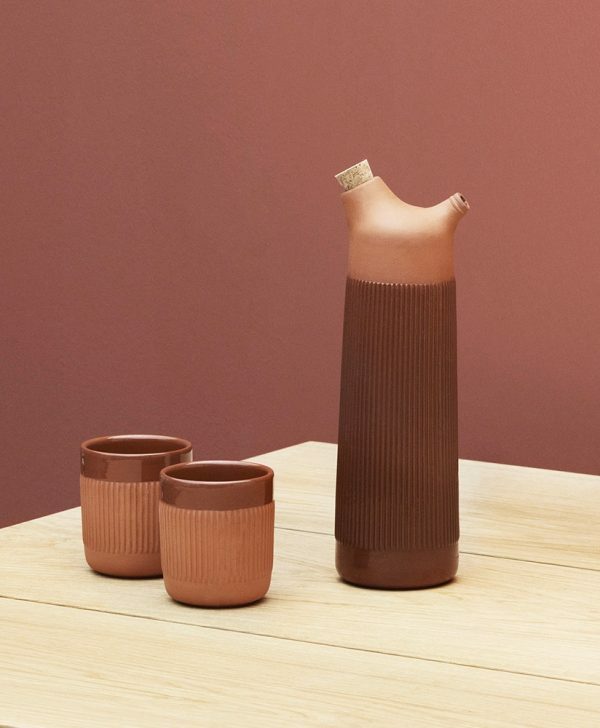 Normann Copenhagen Junto Water Carafe: The terracotta clay construction of this carafe isn’t only rustically charming, but it can also help keep your beverage cool for longer. Inspired by the traditional Spanish carafe named botijo, this modern carafe features two spouts, one for filling and one for pouring. Kähler Hammershøi Carafe: The Kähler Hammershøi Carafe is a Finnish treat created by Hans-Christian Bauer. It is the perfect mix of classic and modern with its glass body and ceramic lid. Also available with a blue lid. 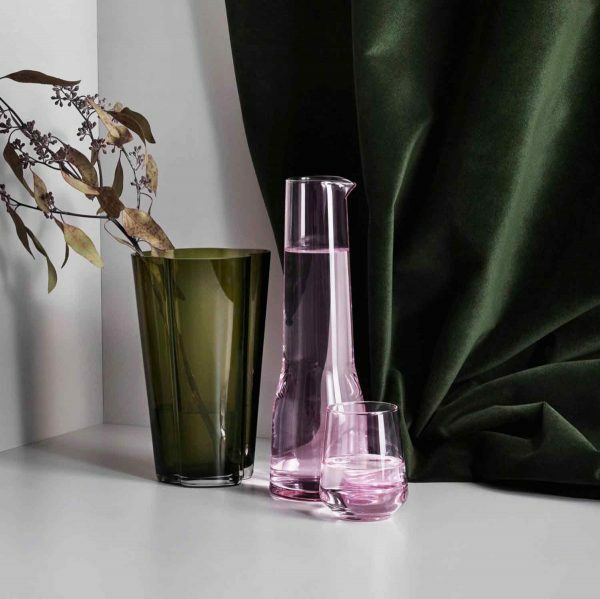 Iittala Essence Carafe: Giving off a distinct feminine aura, this is one carafe that is hard to miss! Love the style, but not the color? 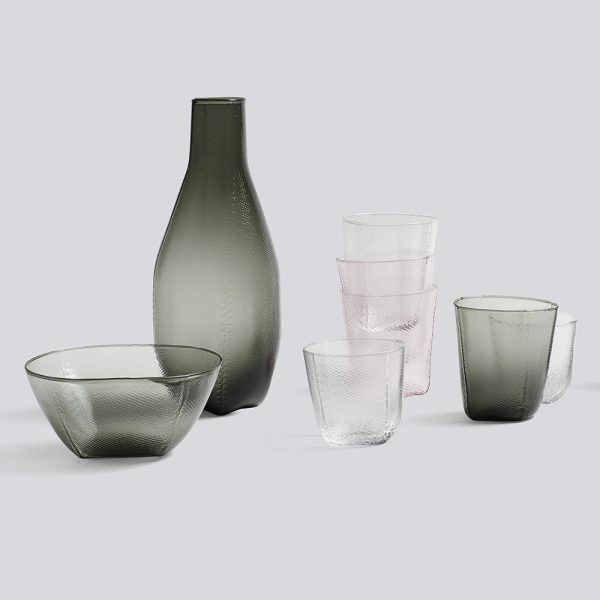 The Iittala Essence Carafe is also available in other shades. 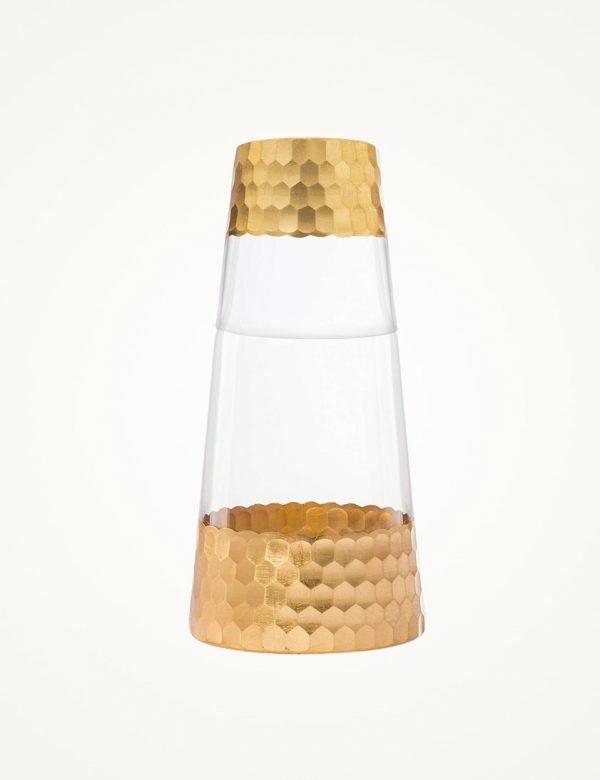 2 Piece Glass Carafe With Gold Accents: This carafe and tumbler really know how to set themselves apart from the crowd with their golden, honeycomb design. 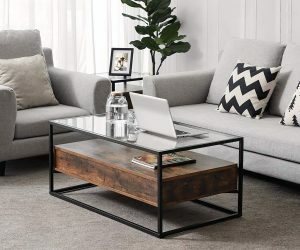 A highly affordable set that is fantastic for the office or bedroom. 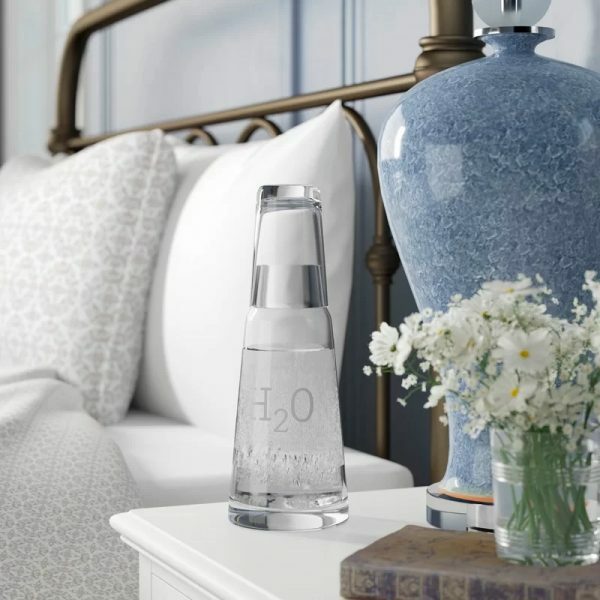 Bedside Water Carafe With Custom Initials: With a drinking glass that doubles as a lid, this is a great carafe to keep your water clean and your decor stylish. Plus, you can customize the initial that appears on the glass, free of charge! 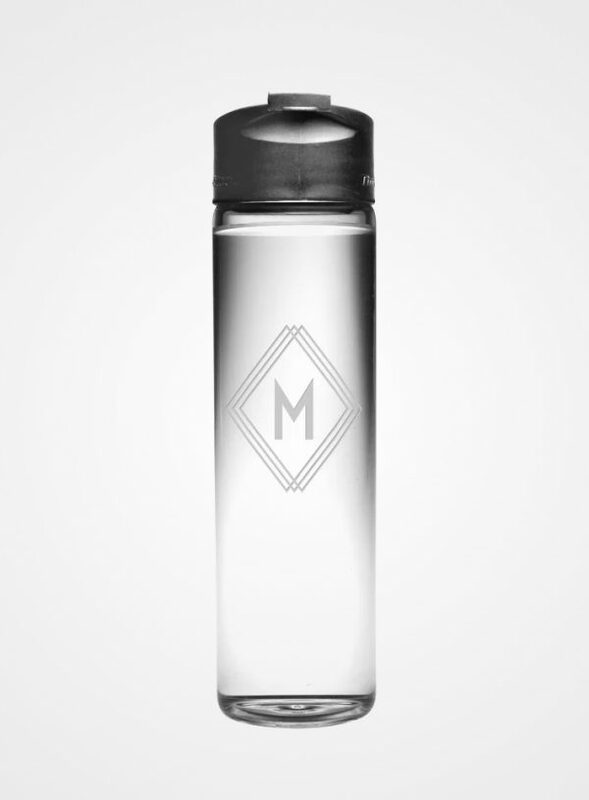 Glass Carafe With Art Deco Style Personalized Monogram: Nix all those plastic bottles and go with an eco-friendly, travel-sized carafe. Made of durable glass, this one can be personalized with your monogram. Crystal Bedside Night Carafe With Tumbler Glass: This crystal bedside carafe is an ornate statement piece. If you have no use for it in the bedroom, consider using it to hold mouthwash in the bathroom. It will look much more elegant than the cheap plastic bottle that mouthwash usually comes in! 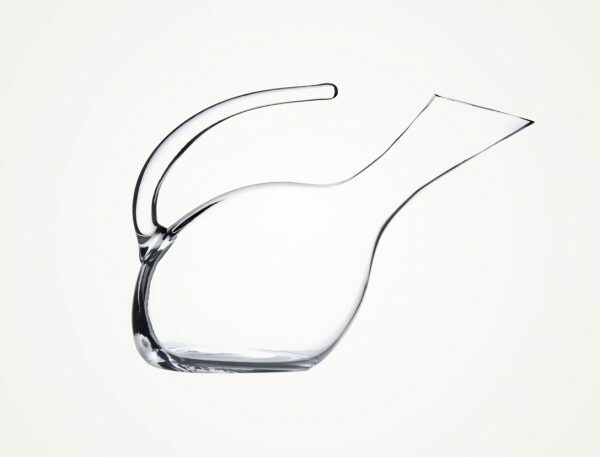 Ultima Thule Designer Pitcher: A carafe inspired by the melting ice in Lapland. This mouth blown glass beauty reflects thousands of hours spent perfecting the glass blowing technique required to produce the poignant melting effect. 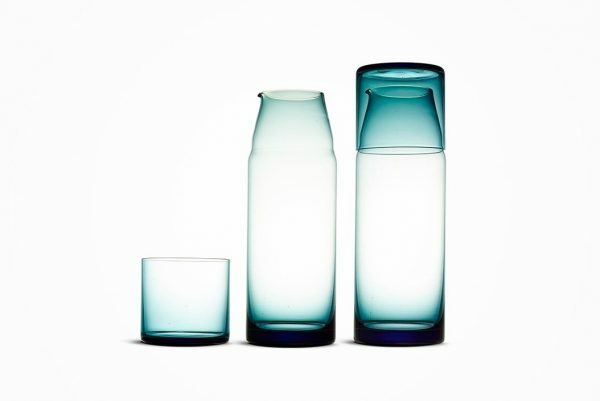 Rasori Carafe: A true mastery of the art of glass, each Rasori Carafe is hand-formed without the use of any molds. Not only is this glassware a work of art, but it is also highly user-friendly since it’s dishwasher, microwave, and oven safe. Sugahara Night Carafe by Heath Ceramics: A splash of blue gives this carafe set a gradient reminiscent of the night sky. A timeless design that is a must for a beach-inspired or coastal home. 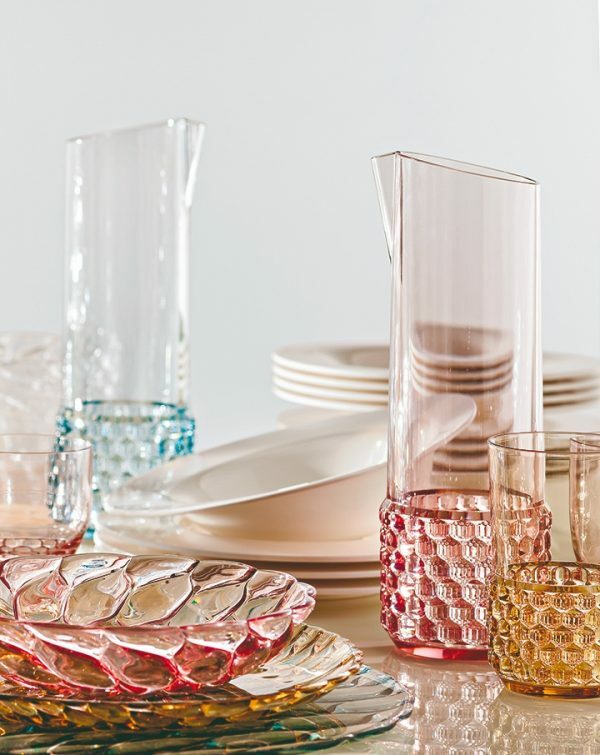 Colorful Glass Carafe: Add a splash of color to the table with a carafe inspired by Japanese pottery. Featuring a textural body complimented by a matte finish, this carafe is available in multiple earthy colors. Sculptural Carafe Made From Handblown Glass: Subtle texture contrasted by bold color brings this hand blown, glass carafe to life. 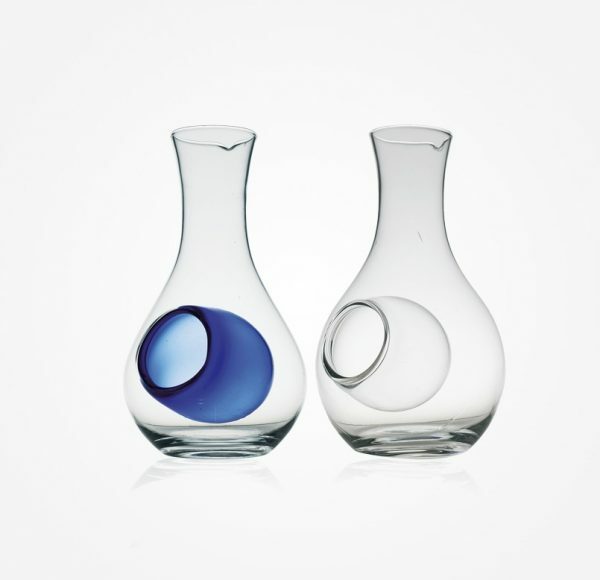 Whether you choose Red, Blue or any of the other 6 colors, this carafe is sure to make quite the impact. 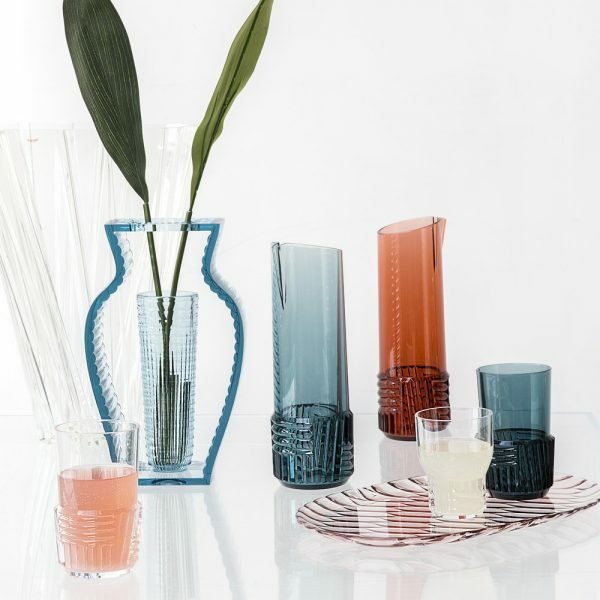 Jellies Colorful Glass Crystal Carafe: The way the light dances around this carafe designed by Patricia Urquiola is rivaled by few. Available in Light Blue, Light Pink, Green or Crystal. 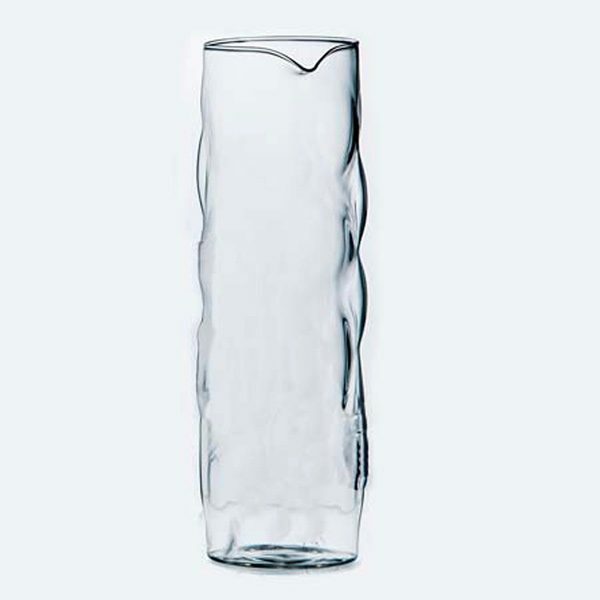 Sculptural Clear Glass Carafe With Wrinkled Design: Make a wave with this sculptural carafe. 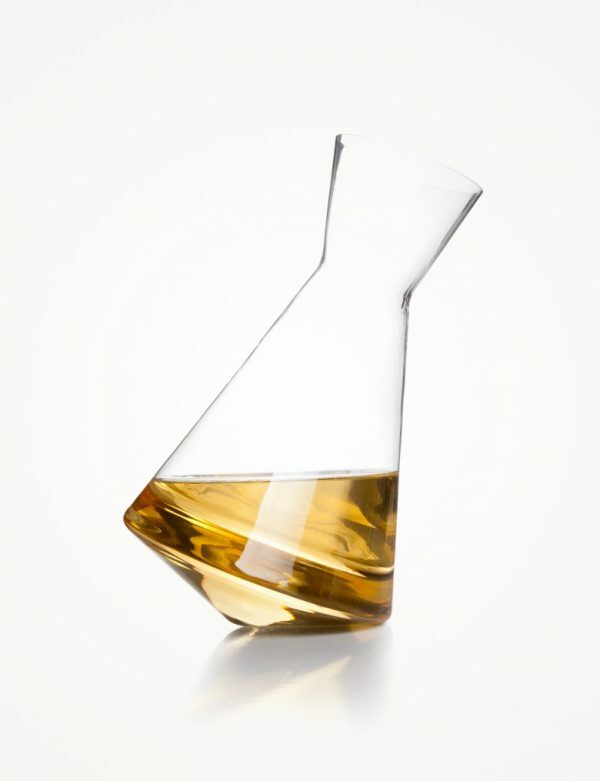 With quality craftsmanship and a borosilicate glass build, this is one carafe that is built to last. 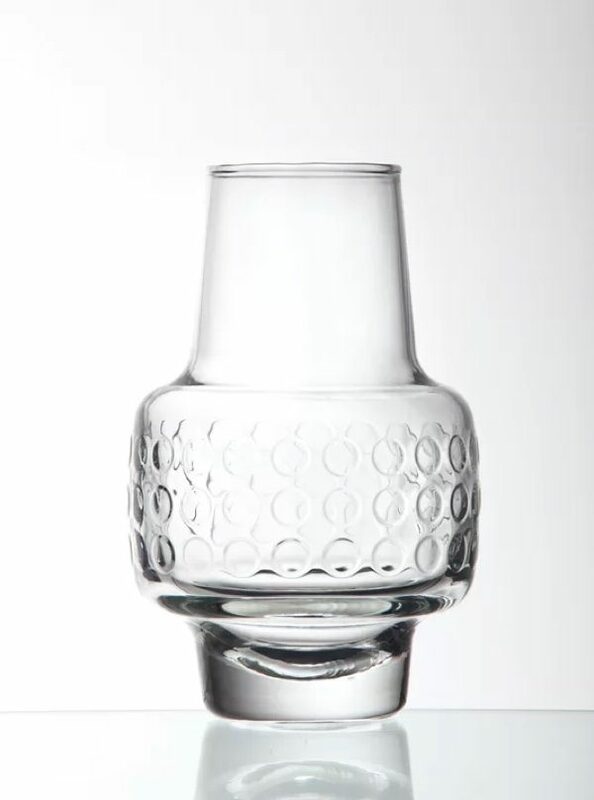 Glass Carafe With Ribbed Design: Ribbed for your dining pleasure! This carafe is great for both formal and informal dining. Each piece is handcrafted by master glassblowers using the finest quality Borosilicate glass, so your carafe will always be one-of-a-kind. Filante Carafe: The Filante Carafe is where fun meets functional. Molten glass “string” has been added to an otherwise simple design to create an eye-catching focal point that transforms this carafe into a modern showpiece. Cold Sake Carafe: Make sure your sake or wine is always cold and never watered down by using this carafe. Featuring a separate pocket for ice, you never have to worry about accidentally diluting your favorite drink again! 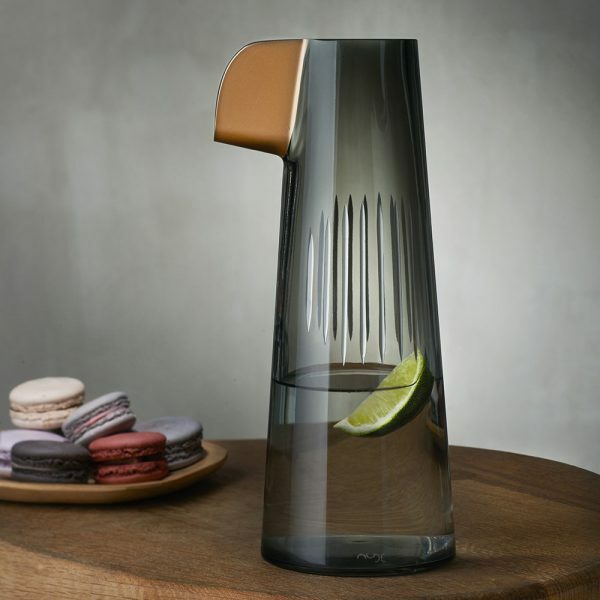 Soma Water Carafe With Filter: A double duty carafe that stylishly holds your water AND filters it. Finally, a water filter jug that is elegant enough for a dinner party, yet simple enough for a kitchen counter!